a politician he became a cute observer of the national reality when he postulated a fancy civilizing project arising Brazil as a European way of living country in South America. 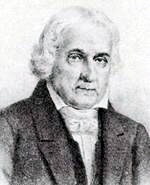 In 1823, during the general constituent convention he introduced one of his essays entitled: “annotation for the civilization of uncultured inhabitants of the Empire of Brazil”. In such document Bonifácio advised that the settler during his missionary tasks in order to arouse the curiosity and to demonstrate the wisdom and the superiority of the white man, it was of utmost importance to employ electrical machines to create amazing and beautiful experiments with Electricity. Certainly through such unusual suggestion Bonifácio did not mention the equipment to be used in this type of doctrinal endeavor. Therefore considering the status of Physics during Brazilian colonial days probably the machines proposed for such kind of electrical experiments would be electrostatic charge generators originally available as time being. Chart 1 – One of the first suggestions for the application of electricity in Brazil. Thus, through the annals of the Brazilian economical history, the industrial growth started in 1886 only, just after the rectification introduced by Francisco Belisário. Nevertheless to describe the evolution of the radio electricity science in Brazil, responsible either for the birth of telecommunications as well as the cluster of scientific and technological correlations, it has been important to consider that originally it was based in service rather than in industrial activities. Strictly speaking the concept of the electronic industry started in diffident way, basically consisting in the adaptation of foreign products, generally made by local based entrepreneurs, the origin of the nationalization trend, which certainly led to the industrial development’s maturity in early 1940. In this way for historical allocation purpose the communication by electrical means started in Brazil when the government notified the Department of Semaphore to replace the optical telegraph by the electrical counterpart. This new mean of communication started operating in 1852. - Chart 2. The optical telegraph was installed in Brazil around 1809. The transmitting stations were allocated in several places alongside the Brazilian coast such as: Recife, Bahia and mainly in Rio de Janeiro. Basically it was used to inform the arrival of ships as well as for the communication ship to shore. 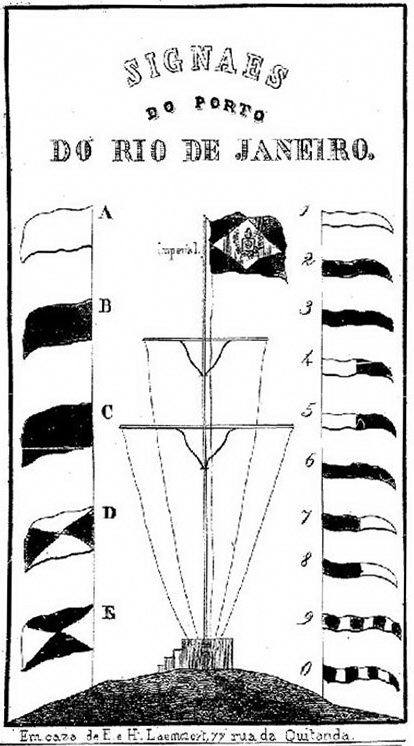 Originally the optical telegraph consists of the semaphore technique where the communication was done by means of flags. Upon the introduction of the electrical telegraph in the country around 1852, in the beginning it was operated simultaneously with the optical telegraph. In this way, in the telegraph post the ship to shore messages received through the semaphore were re-transmitted to other places by mean of the electrical telegraph. CClaude Chappe was a forerunner of the optical telegraph. Basically the system comprised a wooden moving tableau with two sides, one being black and white respectively. The tableau was mounted in a pivot in such way its alternated and synchronized movements were controlled by means of a clock. The alternated movements of the tableau could be seen at long distance by the aid of a telescope. On Mach 2nd, 1791, during 4 minutes Chappe transmitted with great success a message at a distance of 16 km. After so successful experiment Chappe named his invention as telegraph and since then several countries started to use it. To commemorate the Chappe’s invention the French Postal Service issued a stamp during the International Telephony and Telegraphy Congress, which took place in Paris in 1949. Chart 2 – Claude Chappe a forerunner of the optical telegraph.